Round 8 is one of the most peaceful rounds of this tournament. Only one victory was achieved, and none of 4 remaining games was seriously unbalanced at any moment. We are too much accustomed to complex fight in this tournament to be any impressed with comparatively colourless draws. But we understand the exhausted contestants who save the remainders of power to be able to cross the finish line. 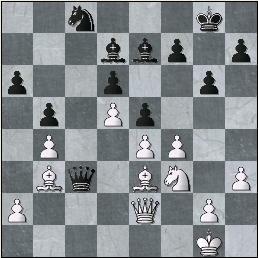 1.d4 ¤f6 2.c4 e6 3.¤f3 b6 4.g3 Ґb7 5.Ґg2 Ґe7 6.¤c3 White refrains from immediate castling. 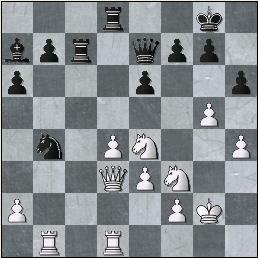 This gives him some additional opportunities after the standard 6...¤e4. 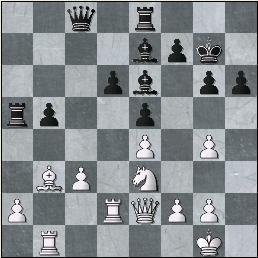 7...c5 8.dxc5 White refrains from principal 8.d5 exd5 9.¤g5 or 9.¤h4. The rest is predictable. And one more quotation from Grischuk: "By now, the players are still endowed with the right to agree to draw." Although for the spectators such games may evoke indignation, none of the profies would blame the players for such a decision. And I doubt any spectator would blame a tennis player who will reduce his velocity in the 5th set. If an athlete cannot run as fast as in the beginning anymore he slows down, otherwise he simply falls unconscious. A game is just a part of the tournament like a set is a part of a match and a lap is a part of a distance. 1.e4 e5 2.¤f3 ¤c6 3.Ґb5 a6 4.Ґa4 ¤f6 5.0-0 Ґe7 6.¦e1 b5 7.Ґb3 d6 8.c3 0-0 9.h3 ¤a5 10.Ґc2 c5 11.d4 ¤d7 12.d5 ¤b6 13.¤bd2 g6!? As long as the Breyer line Mamedyarov prepared for this tournament gave a big crack, he applies an approach reasonable from a practical point of view. He still adhere to the solid old Ruy Lopez but eliminates opponents` preparation by choosing rare subvariations of each time different lines. 13...f5 is a mainstream of the system. 27.Јd2 White could also refrain from the exchange of queens: 27.Ґd2 Јa1+ 28.ўh2 (28.Јf1 Јxf1+ 29.ўxf1 f6 is essentially the same as the game) 28...exf4 29.Ґxf4 Here as Shakhriyar said, he had prepared 29...g5! Yet I cannot believe that after 30.Ґg3 (30.Ґe3 Ґf6 (30...g4 looks dubious: 31.hxg4 Ґxg4 32.Јf2) 31.Јf2 h6 and the position is, perhaps, unclear) 30...Јc3 31.Ґe1 Јg7 32.Јe3 white`s position`s clear esthetic superiority over black`s one doesn`t imply an advantage. 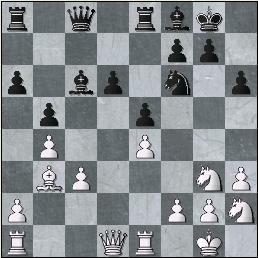 29.fxe5 After that white obtains two bishops advantage but in a position he cannot penetrate. I think 29.g4 with the idea of ўf2-g3, (h3-h4), g4-g5 would give white more chances, black would sooner or later have to submit to the necessity of e5xf4. Gelfand`s opening alertness is really terrifying. 1.d4 d5 2.c4 c6 3.¤f3 ¤f6 4.¤c3 dxc4 5.a4 Ґf5 6.¤e5 e6 7.f3 c5 8.e4 Ґg6 9.d5!? 9.Ґe3 has been tried recently in Topalov-Kramnik, Elista m/6 2006 An interesting move in the text has just a small reference of one game in a database. And it has been thoroughly analyzed by Gelfand. 15.Јxe7+ After15.Ґxc4 Јxe6+ 16.Ґxe6 black has 16...¤d4 The continuation 17.Ґxd7+ ўxd7 18.ўf2 ¤b3 19.¦b1 c4 leads to a position presumably evaluated as: "black will be able to compensate his kingside weaknesses with queenside activity". 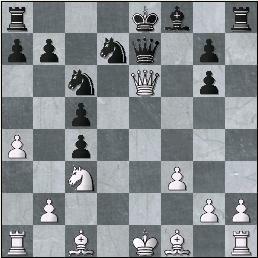 20.ўf2 20.ўd3 was more challenging, the move in the text is harmless because of an important subtlety on move 21. 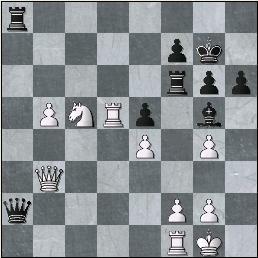 10.Јxc4 ¤xc3 11.bxc3 ¤a5 12.Јd3 c5 13.¤bd2 cxd4 14.cxd4+/= Due to black`s 9th move white reached some pressure. 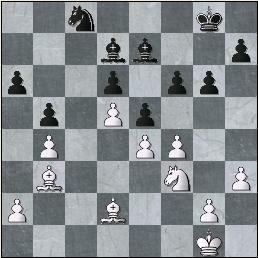 33...f6 34.¤c5 With all the respect to the might of the bishop, I do not think white had to exchange it immediately. Black bishop is passive on a7 and performs a purely defensive task. 34.¦c2 is reasonable, 34.g6!? deserved attention. 38.ўg4 After 38.¤e1 (with the idea ¤d3-c5) 38...¤f5+ 39.ўg4 ¤d6 white is somewhat discoordinated, 38.a5 ¤f5+ 39.ўg4 ¤d6 allowed black to cover b7 with the knight on b5. But now the exchanges continue and white`s advantage goes on decreasing. 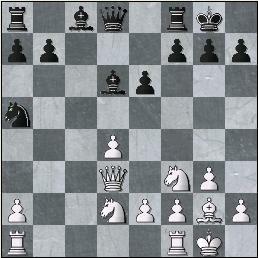 21.¤g3 A pawn sacrifice21.Ґxf6 ¤xf6 22.¤g4 ¤xg4 23.hxg4 Ґd7 24.¤e3 Јxc3 25.¤d5 Јc6 26.Ґb3 that took place first in Almasi-Bacrot, Szeged 2000 is considered to be advantageous for white, but Peter prefers another plan. 23...a5 Black hopes to provoke a2-a3 that would rid b3-bishop of his defence, its being unprotected plays into black`s hands after planned Ґd7-e6. But white reacts correct and soon reach a small but stable edge. Carrying out releasing d6-d5 doesn`t solve all black`s problems, after 23...Јb7 24.¤g4 (24.Јf3 d5 25.¤g4 ¤xe4 26.¤xe4 dxe4 27.Јf5 also seems to give white some edge) 24...¤xg4 (24...¤xe4 25.¤xh6+) 25.Јxg4 d5 26.¦ad1+/= white`s pressure in the center is somewhat unpleasant; I think the right continuation was 23...Ґd7 24.Јf3 Ґe6 immediately. 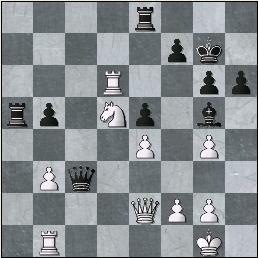 The idea behind it is to meet 25.¤f5 Ґxf5 26.Јxf5 (26.exf5 e4) with 26...d5! In the game in analogous case white woull have already an extra pawn on a5. 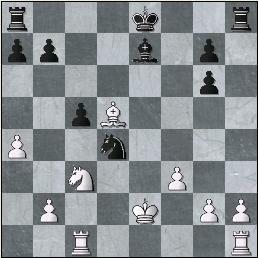 24.bxa5 Ґd7 25.Јf3 Ґe6 26.¤f5 ўh7 In the endgame after26...Ґxf5 27.Јxf5 (27.exf5?! 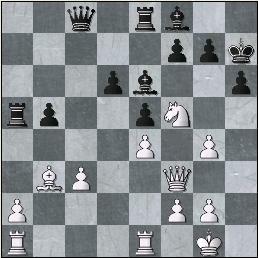 is not good for white because after 27...e4 28.Јf4 ¦xa5 (or 28...Јxc3) black can meet 29.¤g4 with 29...¤h5!) 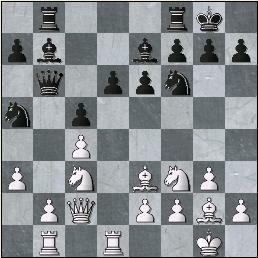 27...Јxf5 28.exf5 ¦ec8 29.¦e3 ¦xa5 30.¤g4 ¤xg4 31.hxg4+/= white keeps a durable edge though probably he cannot break through efficiently enough. 26...¤xe4? 27.Ґxe6 (or 27.¤xh6+) 27...fxe6 28.¤xh6+ is obviously bad. White consolidates his position with some advantage: 29.¦ad1 ¦a6 30.¦d3+/= g6 31.¤e3 ўg7 32.¦b1 Ґe7 33.Јe2 ¦a5 34.¦d2 White concentrates on black`s main weakness (i.e. b5-pawn) and offers a pawn sacrifice. 35.¦xd6 Ґxb3 35...Јxc3 36.Ґxe6 ¦xe6 37.¦xe6 fxe6 38.¦b3 (38.¤f1 Јc4) 38...Јc6 39.¤f1 doesn`t simplify immediately and therefore leaves black with severe weaknesses. 38.¦b6 ¦a7 An attempt 38...Ґd8 after 39.b4 (39.¦xb5 Јa6 40.¤c3 ¦a1 is less precise, black bishop is likely to come to d4 which is almost a dream for black) 39...¦a6 40.¦xb5 ¦c6 41.Јf3 leads to a position where white rook on b5 cannot move, but white has means of increasing the pressure and black will inevitably release the rook. 39.¦xb5 Јa6 40.¤b4 40.Јc4 ¦c8 41.¦c5 ¦xc5 42.Јxc5 Јd3 is less precise. 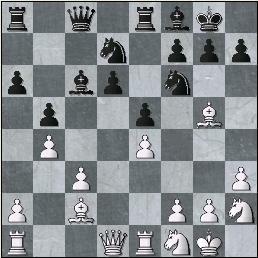 Peter consolidates the position after winning a pawn and after putting his knight to d3 tries to provoke f7-f6. 40...Јe6 41.¤d3 Јa6 42.¦d5 ¦c7 42...¦d8 seems to be more stubborn. 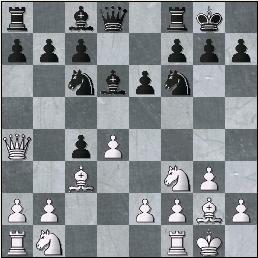 Black`s position is perhaps not objectively lost, but it`s highly unlikely to be held at the board. 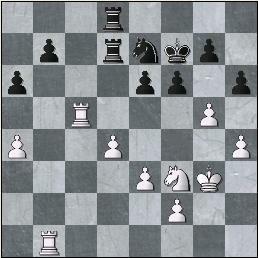 43.b4 Јc4 44.Јe1 44.b5 was more natural with the ideas ¦b1-b4, Јe2-b2 and seems to me preferable at the first sight. Yet I admit it`s just the first sight. 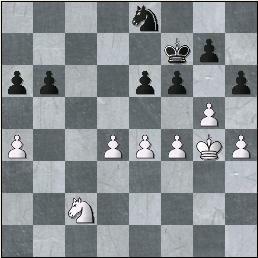 44...Јc2 45.¤c5 45.b5 or first getting rid of black queen by 45.¦b2 still suggested itself, but prefers the other way. The knight aims to d7 and in many variations supports the b pawn till the very promotion. Black posed white some problems, but Peter managed to solve them. White finds a solution when the moment seems a truly critical one. 51.¤d7? ¦a3 52.Јd1 ¦xf2 or 51.¦xe5? 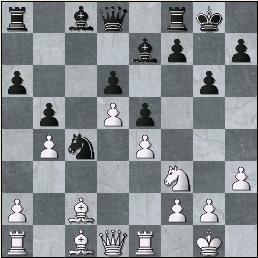 Ґh4 52.g3 ¦a3 would disappoint white a lot. 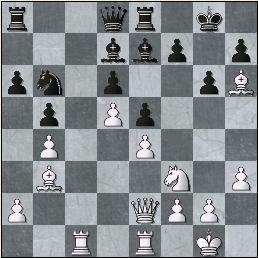 51...Јe2 after 51...Јxb3 52.¤xb3 ¦f4 white should reduce black`s counterplay by 53.¤c5! (53.f3 ¦f6 54.¦xe5 Ґe3+) 53...Ґd8 (53...¦xg4 54.b6) 54.f3 Ґb6 55.ўh2 and the rook got stuck on f4. 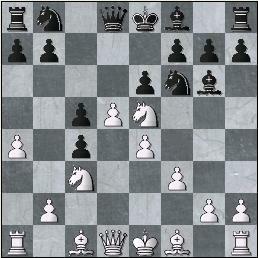 52.Јd1 Јb2 I think black should have tried 52...¦a2! 53.Јxe2 ¦xe2 with some chances. 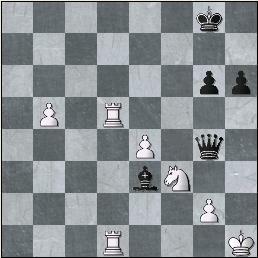 After the move in the game white calculates the position till the point where no doubt in the final outcome can remain. 61.¦d8+ ўg7 62.¦1d7+ ўf6 63.¦f8+ ўe6 64.¦d5 Fine solution! I suppose Peter foresaw this position on move 54, moreover the line is almost non-branching. White controls everything and defends everything. 67...ўd8 68.¦e6 (with the idea ¦e6-a6-a8) 68...Јg4 69.¦h8+ ўc7 70.b6+! Ґxb6 71.¦c6+ This subtlety is as obvious as important. With this game Peter broke the unfavourable stripe of the events initiated by... well, who knows by which game? I shall refrain from any assertion.